Mitchell Feller - Gottlieb, Rackman & Reisman, P.C. Mitchell Feller’s practice focuses on patents and related legal areas which involve the development and use of technology, including patent litigation and inter-partes review, patent prosecution, offensive and defensive patent portfolio analysis and development, IP risk assessments, product clearance, and strategic IP counseling. Mr. Feller also provides general client counseling related to protection and enforcement of trademarks, copyrights, and other aspects of intellectual property. His corporate practice addresses transactional issues including sales and licenses of IP, IP diligence associated with investments in technology companies, and software development and service agreements. Mr. Feller is a skilled engineer with a detailed grasp of complex technology. His 20 years of legal experience and prior engineering work covers a wide variety of technologies, including many aspects of computer hardware and software, electronic circuitry, mechanical and electro-mechanical systems, data collection systems, Internet-of-Things infrastructure and applications and other internet applications, image processing, wireless networks, and medical devices. He is frequently called on to distill technical issues for non-technical audiences. Mr. Feller has defended numerous patent infringement lawsuits brought by non-practicing entities. 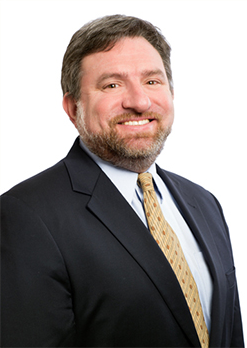 Mr. Feller represents clients of all sizes and has taken the lead role in numerous cases addressing patent claim construction, infringement and validity analysis. He has represented clients in district courts around the country, on appeal before the Federal Circuit, and in the U.S. Patent and Trademark Office for both inter partes review and for patent prosecution. Before attending law school, Mr. Feller worked as a computer design engineer at IBM Enterprise Systems in Poughkeepsie, New York where he was responsible for analyzing new computer designs and developing software packages that simulated and tested the operation of proposed designs. Mr. Feller is an avid amateur astronomer who is often involved in local outreach and has been known to travel hundreds of miles to find clear dark skies.